On a lounge chair near a waterfall? How about a desert isle beneath the shade of a palm tree? Or maybe on a raft floating down a lazy river? Is there a margarita on a little side table? Or perhaps a Corona with a lime wedge? I received delightful email from a self-described book lover who prefers to remain anonymous. She described her dream reading spot: “A window ledge with over-sized pillows and cozy blankets, complete with storage underneath to hold all of my favorite novels.” And then she asked me to share my dream reading spot in this post. That got me thinking. My two current reading spots are satisfactory but hardly dreamy: one is a red leather chair in our den facing overstuffed library shelves and the other is the bed next to a nightstand with a precarious stack of books. Now I confess that “outside my house” may require me to move, since there is no water besides our plumbing, and my current natural surroundings are limited to our backyard. But the question asked for my dream reading spot, right? As such, the sky is, quite literally, the limit–although neither a blimp nor a drone made my short list. The easy pick, with minimal decorating demands, would be a hammock between two palm trees on a beach near an ocean. But I confess that a hammock on a Mediterranean beach is a LONG WAY to travel to spend a few hours reading a book. So, at least until we put our house on the market, I decided trade my hammock on the beach in Mallorca for a gazebo near a bubbling brook in Missouri. 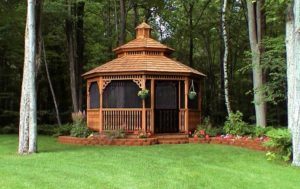 But unlike that hammock, which merely requires two existing palm trees, a gazebo requires not just a gazebo but the furnishings inside that structure. Although I will never be a featured designer on Bravo TV’s Million Dollar Decorators, I do have access to Google. First step: pick out my gazebo. I did some searching and found this one offered by Amish Country Gazebos. Not bad, eh? I’ll order one with screens, since this is, after all, Missouri, and during the summer months our fine state feels like Mosquito Central. Unable to pick one over the other, I am fortunate that the other major reader in our house–and the one with far better taste than me–is my wife Margi. I called her over, explained (or tried to justify) my selection of a gazebo in Missouri over a hammock between two palm trees and asked her advice on the furniture. Without hesitation, she opted for the Emory Collection. So there you have it: my dream reading spot. Oh, yes, and I’ll have a chilled Corona with a wedge of lime. And, when you have your dream reading spot ready to go and need a book to read, may I suggest this one. So what’s your dream reading spot? My dream spot is nothing exotic. Just my recliner, feet up, my two dogs in my lap, and a great cup of coffee on the side table. I love sitting out in the deck but am too easily distracted by all of the sounds and sights of nature around me. I truly enjoy your books Michael. The St. Louis connection just makes them more real. Keep up the good work! Give my best to Margi! Thanks,Bettye! 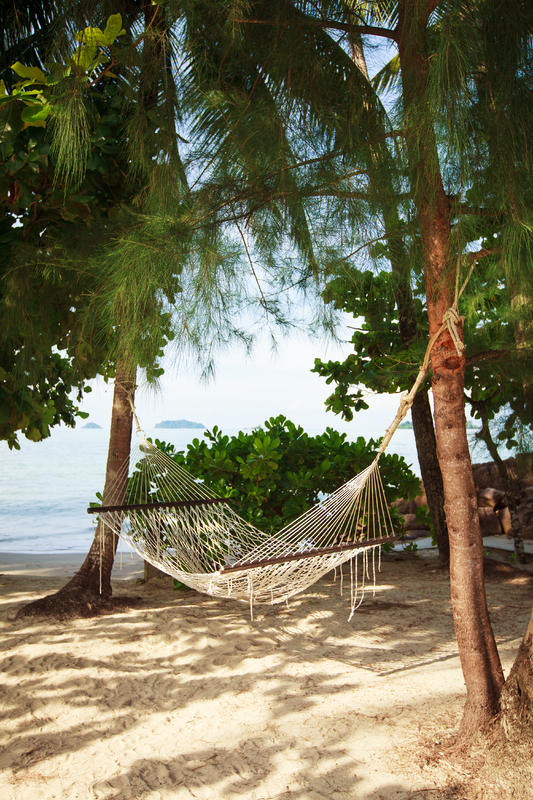 Your dream spot sounds pretty dreamy! Margi says hi and that she misses seeing you.